“Aren’t electric vehicles just for the wealthy?” said Jenifer Bosco, staff attorney at National Consumer Law Center (NCLC). This was her reaction when she was invited to coauthor the report. Given the high-end popularity of cars produced by Tesla and other companies, this question is not surprising. However, there are many ways that low-to-moderate-income communities can participate in the electric vehicle market. “If we can get shared electric vehicles that serve the low-income buildings where people live, that might be the solution, but right now we’ve got to focus on public transit,” said Philip Jones, executive director of Alliance for Transportation Electrification. 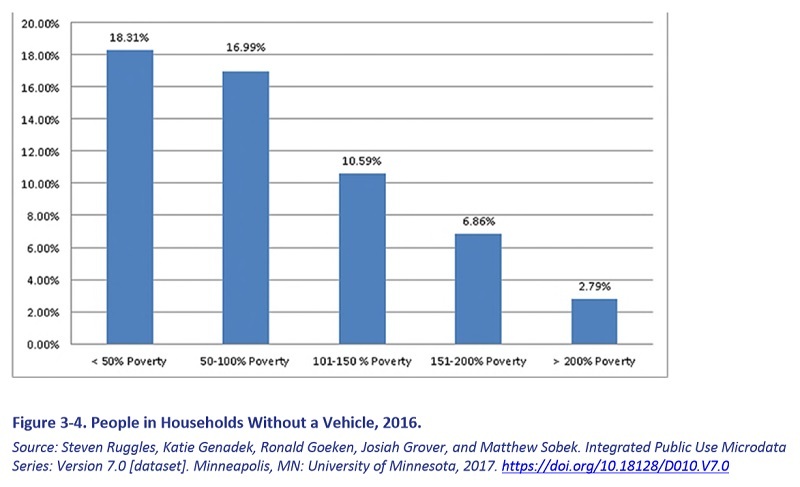 A substantial fraction of the low-to-moderate-income population in the United States does not own any vehicles. The graph below, reprinted from the report with permission from a coauthor at NCLC, shows these statistics based on income. When industry experts talk about residential clean energy in the United States, they sometimes focus too extensively on homeowners as their main market. If the clean energy industry focuses narrowly on this market, organizations will assume that supporting electric vehicles involves simply providing make-ready connections from utilities or encouraging companies and utilities to build charging stations. The report said the best way to support low-to-moderate-income participation in the electric vehicle market involves creating a mix of options that allows flexible decision-making. One option is public transit. In urban areas, public transportation can be electrified. In some cities, this is already taking place. According to the report, car-sharing services could easily introduce electric vehicles. These services cut the cost of auto ownership substantially. The cars can be sited near affordable housing. “It’s no longer a question of if electric vehicles will have mass adoption, but how quickly,” said Jonathan Levy, vice president of strategic initiatives at EVgo. Where Should Chargers Be Sited? Redesigning where cars stop for fueling can result in a dramatic transformation of automotive behavior in communities throughout the United States. It can also drive traffic rerouting, stimulate or deenergize local businesses, relocate or reduce health impacts, and shape urban development. Reworking how transportation operates will have a massive effect on economic, social and health realities in the United States. For example, electrifying transportation may change the range of health issues that exist near power plants. This is an environmental justice issue that advocates discuss often. Building out a charging-station network offers an opportunity to not just replicate the model of the gas station, but improve on it, Levy said. It’s important to avoid concentrating charging locations in environmental justice communities, Bosco said. Pollution and health issues occur when vehicle traffic there is too extensive. For example, environmental justice advocates in Boston have said it is problematic that trucking is concentrated in some locations, leading to particulate pollution that can cause or exacerbate asthma and cancer. Siting charging stations next to affordable multifamily buildings can be advantageous, Bosco said. However, local landlords and utilities should be aware that it is necessary to manage charging station construction financially to limit adversity for renters. If landlords want to pass construction costs on to renters, they should be careful that this will not cause utility disconnections, food insecurity, or apartment evictions. How Can Electric Vehicles Become Affordable? “Lower-income consumers live with the threat of having their electricity shut off when financial challenges arise. Low-income people of color are at a disproportionate risk for having their utilities disconnected,” the report said. When people of color buy cars in the United States, they tend to be charged higher interest rates than other customers are even when their creditworthiness is comparable, the report said. They also have a lack of assets for down payments. In addition, auto sales staff charge them more for vehicles, add-ons and insurance. Incentives for electric vehicle ownership can make the market more accessible to low-to-moderate-income customers. 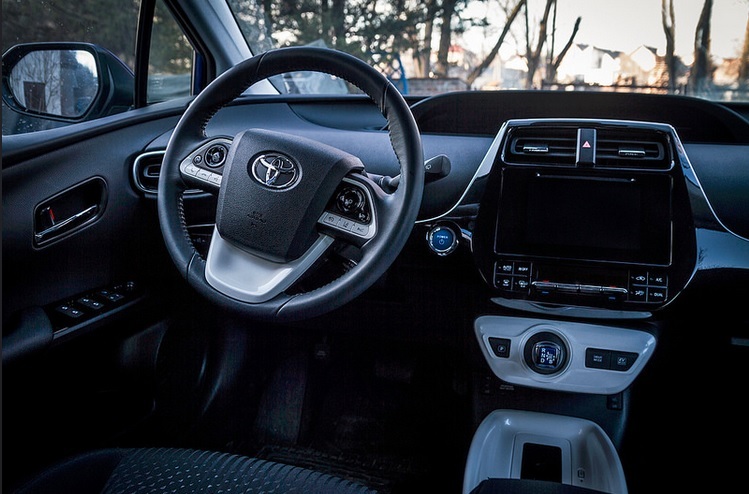 However, some customers will still avoid purchasing cars or hang onto older vehicles. “Absent large-scale subsidies for low-income buyers, to the extent that low-income families do get access to electric vehicles, it will likely occur decades after early adopters avail themselves of the benefits,” the report said. The authors of the report debated what would be the best approach to minimizing financial impacts on low-to-moderate-income ratepayers. Bosco recommended limiting utility investments to keep rates affordable. But Jones said that utility participation is necessary to reach this specific market because third-party providers may not reach out to them effectively. Innovations in rate design may help bridge the gap to put electric vehicles within reach, the report said. Electric vehicle charging rates and time-of-use rates may play a role. It’s important to include electric cooperatives and rural areas when building out charging infrastructure, Levy said. “Success will come only if a driver- and rider-centric approach to charging is fostered with affordable rates and accessible infrastructure for electric vehicle charging. [This should be] driven by a robust and sustainable private charging industry working hand-in-hand with utilities and other stakeholders,” the report said. This blog was written by Kat Friedrich, News Editor at Clean Energy Finance Forum and Conservation Finance Network. To view its original posting, please click HERE.